Studies, articles, and social media activism are just a start. I would imagine everyone reading this, who partakes of social media to any degree, is getting worn down with the social media activists. Like everything, there are some that are effecting change and doing great work. They use the media to spread the message while helping to enact change in other ways. Basically, doing more than just ‘awareness‘. You can Tweet and Facebook and Tumblr all day long about “help our vets”, and the sentiment is great. But until you turn that effort toward people who can effect change (e.g. politicians), it’s not likely to actually help a veteran. Oh, and you do occasionally promote charities that help the veterans and donate yourself… right? Yesterday, “Spouse-gate” happened at the ASIS / ISC2 Congress event. In a nutshell, a female InfoSec professional is a speaker at the conference, and her InfoSec professional husband joined her as a regular attendee, but via her “plus one” that the conference provides for. Each “plus one” in the eyes of ISC2 is the spouse, which by definition is the husband or wife. So imagine his surprise when he goes to the registration desk and finds the staff “utterly confused how [he] could be a spouse and asks [him] four times how [he’s] a spouse“. Did the meaning of spouse change sufficiently in the past years, that it is only applied to females? He explains several times that his wife is speaking, and he is her “plus one”, and they finally understand. 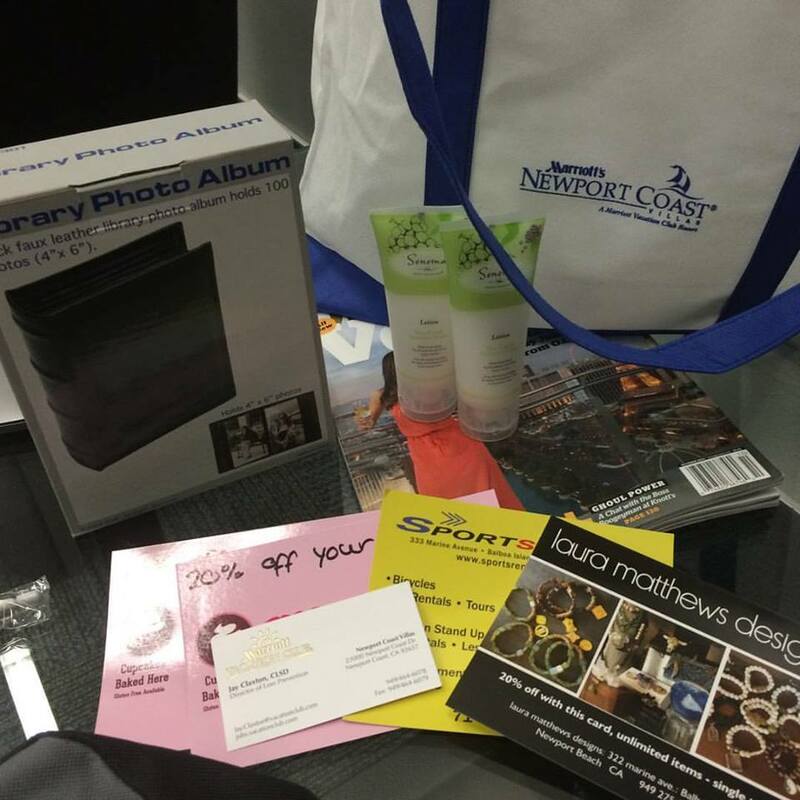 Next, they give him a con swag bag and information regarding ‘spouse events’ which include shopping trips. The bag included two bottles of hand lotion, an empty photo album, shopping coupons, a magazine, and the business card for Jay Claxton, the Director of Loss Prevention at Marriott Vacation Club International. I have been an outspoken critic of ISC2 for many years. In the last couple of years, I have toned down that criticism considerably, for various reasons. The biggest reason is that one of the board members, Wim Remes reached out to me and prompted many discussions over a year. He made an effort to get my feedback on how ISC2 could improve in their process, public perception, and get back on track (my words) with their intended purpose of making the security industry better. When someone in a position to effect change reaches out and demonstrates they want to make things better, it is time to help them rather than continue to criticize the organization. In that time, Wim has done an incredible job working to change the organization from the inside. Sorry for the diversion, but I feel it is important to give credit to those working very hard toward bettering our industry. At some point in the last year or two, ISC2 has taken on a very public “pro-woman” stance (scroll through their Twitter feed). They have collectively called for more equality in the workforce in our industry. 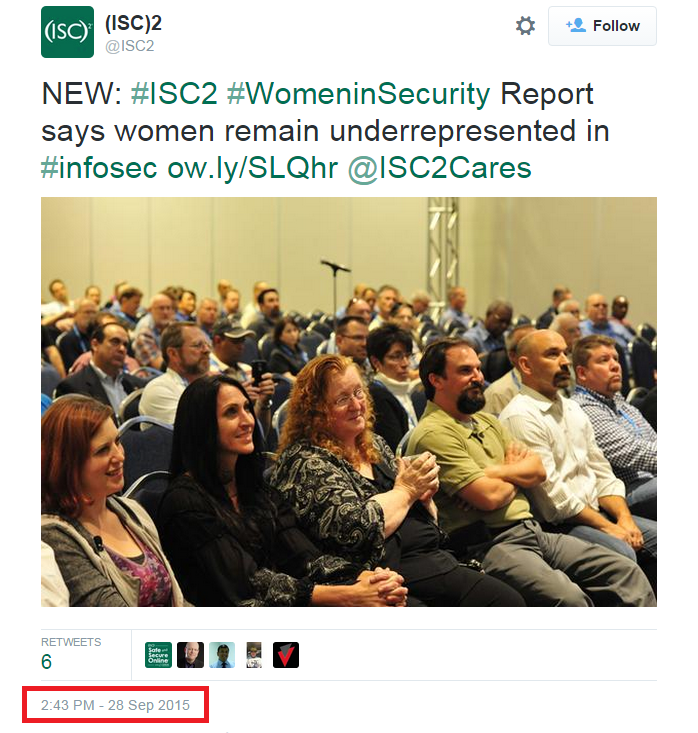 In fact, within one hour of ‘Spouse-gate’ starting, ISC2 was Tweeting about women remaining underrepresented in InfoSec. It’s hard to understand how an organization can promote a great cause while also devolving to the base levels of misogyny that are a root cause of the inequality. Social media activism can do great things. But many of the great things that can be done get lost in the noise of people blindly re-posting feel-good messages that ultimately do very little to do actual good, and concretely support the cause. If organizations like ISC2 want to help effect real change, they need to “be the change that [they] wish to see in the world.” In short, more doing and less grandstanding. 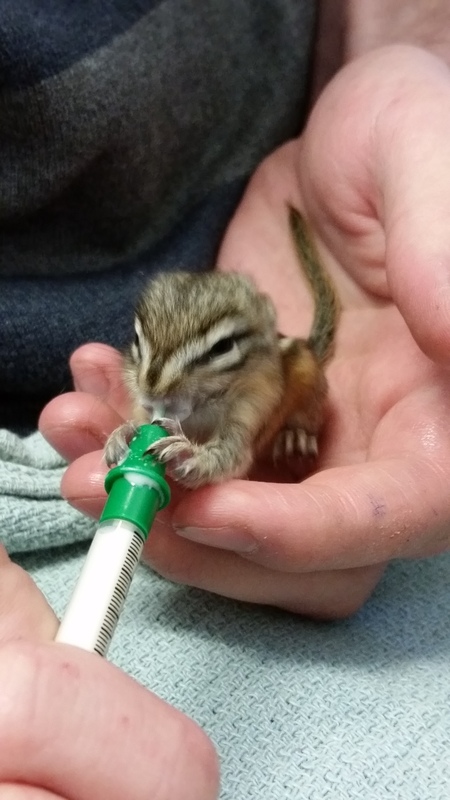 Compassion Fatigue in an industry largely devoid of compassion. A few days ago, Bruce Schneier actually wrote a slightly interesting piece for Fusion. I say that with surprise because most of his articles are engaging and well-written, but he rarely shares new ideas or concepts. Most of my professional circle is already very familiar with a given topic, and Schneier largely enjoys a reputation for his insight because he has a considerable following and they read about it there first. In this case, it wasn’t so much that Schneier’s piece was new information (he did quote and cite a 1989 reference on the topic that was new to me), it was that he flirted with a much more interesting topic that is somewhat aligned with his point. Reading on, Schneier brings up the psychological toll that such a mindset can have, and that concept should not be new to anyone that has been in InfoSec for a few years. Cooper talked about remaining in Code Yellow over time, but he didn’t write about its psychological toll. It’s significant. Our brains can’t be on that alert level constantly. We need downtime. Compassion fatigue, also known as secondary traumatic stress (STS), is a condition characterized by a gradual lessening of compassion over time. It is common among individuals that work directly with trauma victims such as, therapists (paid and unpaid) nurses, psychologists, first responders, health unit coordinators and anyone who helps out others. First, I don’t think our industry suffers from the last detrimental effect. It is brimming with egotistical idiots that never have those feelings, even if they should. Second, while I doubt anyone in our industry will suffer nightmares, the rest can and likely hold true to varying degrees. More specifically, hopelessness and a negative attitude. I will be the first to admit that I fall into this category when it comes to InfoSec. I have a serious level of apathy and disillusionment with the effectiveness of our industry. I have several draft blog posts on this topic and may finish one some day. All of the evidence is right there, showing we fail over and over in the bigger picture. Those who argue otherwise are idealists or new to the industry. Either they haven’t seen the evidence, or they refuse to believe it. It is easy to miss when you live the life. But there is a steady level of ‘systematic desensitization’ as @VRHax calls it, and that is spot on. For anecdotal comparison, think back to the frog in boiling water story, even if not true. It happens to us all, even if we aren’t fully cognizant of it. While compassion fatigue can have a much more serious toll on some of the professions listed above, I believe that it likely has an interesting way to manifest for our industry. Rather than lose the desire to help, or feel it is hopeless, I think that it slowly wears down an individual in a different way. They lose that desire to help out of a truly noble cause, and inch toward doing it only for the salary and lifestyle that many of us enjoy. As such, they become hopeless as far as original intent, don’t enjoy their work as much, develop a base level of stress, and grow an increasingly negative attitude, yet do it because it pays well. Unfortunately, when you join the industry, you aren’t warned about this to any degree. If you volunteer at an animal rescue / rehabilitation shop, you are likely to be warned of this during your orientation on day one. And for good reason! 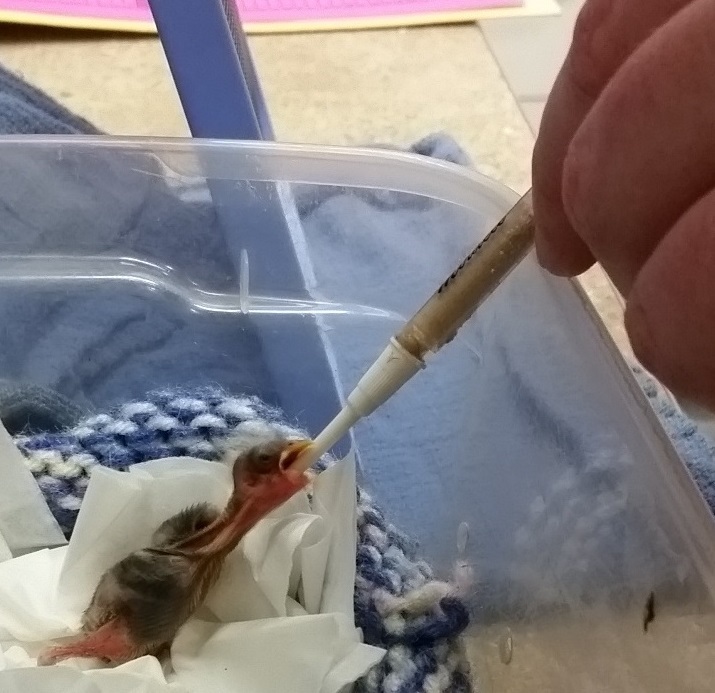 When you spend your time trying to help a sick or wounded animal, do everything in your power to help it, and it doesn’t make it… it is devastating. That warning is what prompted me to read more on the topic originally, and it took Schneier’s blog to make me realize just how true it was in our industry, one that largely helps out of selfish gain rather than altruistic desire. So I am grateful for his blog missing the mark as usual, but doing so in a way that prompted this blog and discussion. Is there a solution to this, for InfoSec professionals? Not that I can figure out. Many that see the problem still operate under this assumption that we can magically fix things, if only we could figure out! They rarely give merit to the possibility we are in an untenable position and there is no way to win. Perhaps they should watch Star Trek again and consider the value of the Kabayashi Maru challenge. In the mean time, I will offer you a simple but slightly twisted way to help deal with compassion fatigue in our industry; by going outside of it. Dare to face it in another world while you help others unrelated to technology. I’ve found great reward in doing it every week, even if I may ultimately face the same problem.